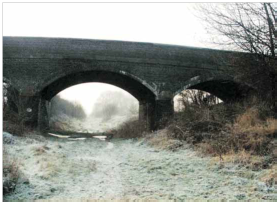 The disused railway track before you was originally the Stafford to Shrewsbury line, running via Newport and Wellington, totalling just under 30 miles in length. It was constructed by the Shropshire Union Company and was one of the few railways in England to be built by a canal company. Once Parliamentary permission was given, it took just 5 years to complete. This was very quick in comparison to most railway construction programmes – it must have been ‘fast-tracked’! It is believed the line was surveyed by torchlight, to reduce opposition from locals, which would have slowed progress! Open in 1849, both passenger and goods trains (carrying freight, coal and supplies for shops and local businesses) ran along this line, which was well used by people living in outlying villages to travel to work. In front of you is Crossing Cottage which has witnessed many changes over the years. 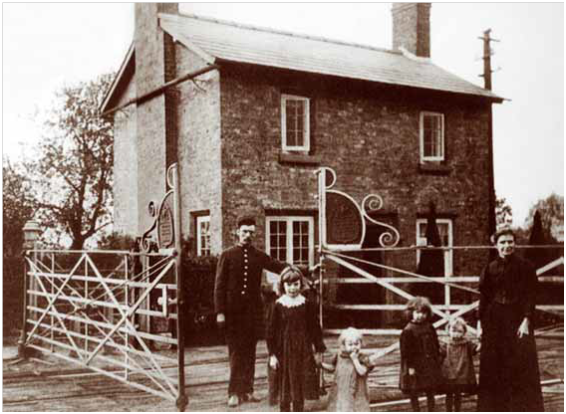 Though the deeds go back to 1823, before the railway line was built, it has mainly been occupied by crossing keepers and their families. The first recorded keeper in 1851 was John Marsh who was keeper for 27 years. There was a steady incline along the track from Stafford to Derrington. Local people knew which way the trains were going by the sound they made. In the early 1950’s the children used to wave to the engine drivers. They would walk on the parapet of the bridge by the Red Lion pub and wait to get covered in steam and smoke! 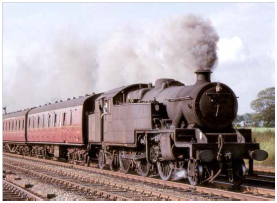 At its peak in 1950, Britain’s railway system consisted of around 21,000 miles of track and 6,000 stations. However in 1963, the Beeching Report recommended the closure of 6,000 miles of mostly rural branch and cross-country lines. Thus in 1966 the line closed. By 1975, the railway system had shrunk to 12,000 miles of track and 2,000 stations and has remained roughly this size since. The railway track, which was once an important rail link between the Midlands and Wales, is no bustling instead with walkers, cyclists runners and horse-riders.